The incomparable Sammo Hung directs and stars in this spectacular Vietnam war action epic, critically acclaimed by many as Hung's finest work. Three years after the Vietnam war ends, a group of Chinese convicts are recruited by the US army to return to Vietnam. Their mission - to destroy a missilie ammunition dump left behind by the marines before it falls into the Vietcong's hands. With the vicious enemy in hot pursuit, this bunch of misfits must rely on their firepower - and themselves - to accomplish their mission, and to get out of the treacherous jungle alive. While watching Eastern Condors one thing was very apparent as the action was played out in front of me - that this was a very brutal and violent film. This wasn't a real shock to me for the viewing that lead to this review, but I do remember the first time I wathced this film and being a bit gobsmacked by the brutality of the violence. I guess it is because I've generally been use to Sammo's Three Brothers films, and given that Yuen Biao is also in this film, I wasn't expecting the brutality to be at the level that appears here. Where was the comedy, the slapstick? However, as the film progressed I realised I was being treated to a more serious film than I was used to from these guys, and the cold brutality helped hammer home the power of the film. Don't misinterpret that last statement as meaning that there is some deep, powerful meaning or story in the film - there isn't. Eastern Condors is a straight forward action film with a very simple plot, but also with a lot of brilliantly choreographed and well executed action set pieces. It takes a short while before the action really kicks in, but once it does it barely relents until the end of the film, giving the viewer only small rest-bites. The action comes in all varieties, from the basic guns blazing, to weapons fights, to good old hand to hand martials combat. Where virtually all of it differs to other typical action films is that the violence and action here mostly isn't choreographed to look pretty and stylish, it is brutal and pragmatic, with the enemy usually being killed as quickly as possible. Being a great fan of martial arts fighting in films, having generally shorter fights with most enemies didn't lessen my enjoyment of the fights. Instead it heightened it as I was seeing a different style of moves being utilised in the fights and they were still very entertaining. Despite the generally shorter fights with the enemies in most of the film, the standard longer, more epic fights still occur at the end of the film between the main heroes and the main bad guy and his best soldier. It was at this stage that something else surprised me the very first time I watched this film. 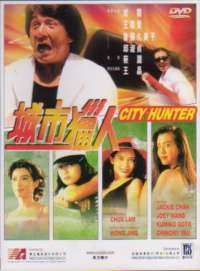 This was the first film I'd ever seen Yuen Wah in, and as such had no idea that he was a good martial artist. In the film he looks skinny and weak and I never imagined what he would be capable of. 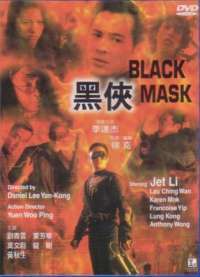 Obviously if I had thought about it I should have known that the cold heartless bad guy would definitely be the toughest of them all, but I didn't think, I just judged by appearances - as did Yuen Biao's character in the film! I was amazed with the speed of Wah's first move in his fight with Biao and from then on it was excellent fighting! I've mentioned a few times that the film is very brutal and indeed it was this aspect that stuck with me the most once the film was over. The Russian Roullette scene with the children and the emotionless way in which the guerillas despatch with the spy in the group were scenes that left me wide eyed and jaw dropped. Eastern Condors isn't shy on using gore either, with many healthy doses of blood splattering and severing. Despite all this, none of it ever comes across as gratuitous as the setting of the film is in Vietnam shortly after the end of the Vietnam war. EVen though the war is officially over, for the make-shift soldiers sent there, it is well and truely still underway, and the war setting seems to help take any emotion out of all the killing. There are very few things about Eastern Condors that I didn't like, but one of them was something that has plagued so many Hong Kong films over the years - misplaced humour. In a serious, violent action film like this, why try and have stupid comedy scenes? They are completely out of tone for the film, don't relieve any tension and just leave a sour memory. Fortunately, while they still exist, they aren't as frequent or as slapstick as they have been in other films, but Eastern Condors could still certainly have done without them. Overall Eastern Condors is an outstanding, violent action film. The martial arts is expertly choreographed, the gun fights are brutal, even if the enemies seem to get killed a little too easily, and once it gets going the pace of the film rarely relents. It may be a little too brutal for some people's liking in some places, but I found this aspect to be a bit of a reality check to being more akin to the real world in war. 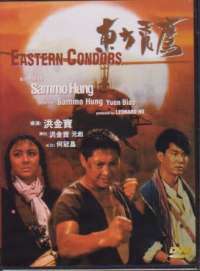 In my view Eastern Condors is definitely one of the best, if not the best, films Sammo Hung has ever made.